Can Starbucks Really Recycle Its Cups? Starbucks has the ambitious goal of making 100 percent of its cups (one billion used each year) recyclable or reusable by 2015. We started documenting the coffee giant’s quest for a better cup in a recent issue of Fast Company, but Starbucks has made some progress since then. The company announced this week that it finished a six-week pilot project demonstrating that Starbucks cups’ liquid-proof interior coating isn’t a roadblock to recycling. The project, completed as part of a partnership with International Paper Company and Mississippi River Pulp, gathered up 6,000 pounds of old Starbucks cups from 170 storefronts in the Toronto area and shipped them off to the Mississippi River Pulp mill, where they were recycled into new cups. There’s a hitch, though: the Mississippi River Pulp mill is the only pulp mill in the country with the capacity to perform the recycling process that turns used Starbucks cups into high-quality fiber for new cups. In order to use the process on a larger scale, Starbucks would have to persuade other pulp mills to get on board. 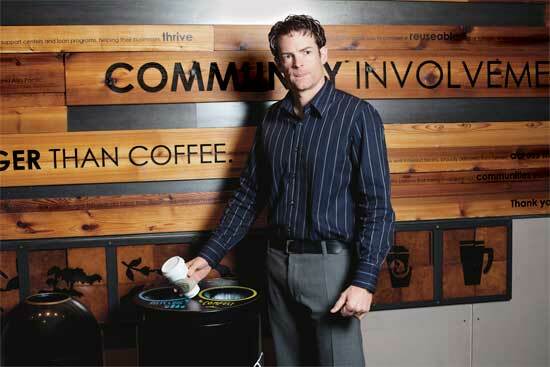 monetary value in that,” Jim Hanna, Starbucks’ director of environmental impact, recently explained to Fast Company. Next up for Starbucks: testing the cup-to-cup recycling process in larger cities. And after that, expanding the process even further–hopefully by 2015.